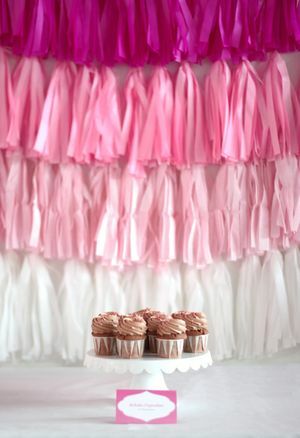 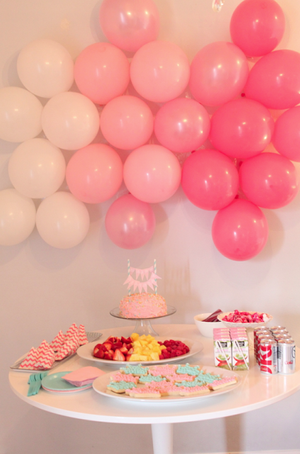 Pink ombre tassel background - perfect for a photo booth or behind a dessert station! 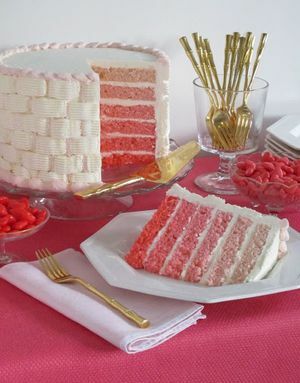 Pink ombre cake - who says cake can't be beautiful on the inside? 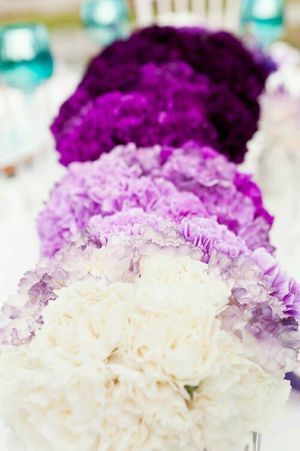 Purple ombre floral centerpiece - love this for a long rectangular table!